I Love That Film: Radio 1 Rescores Drive, Curated By Zane Lowe... Are they nuts? Radio 1 Rescores Drive, Curated By Zane Lowe... Are they nuts? 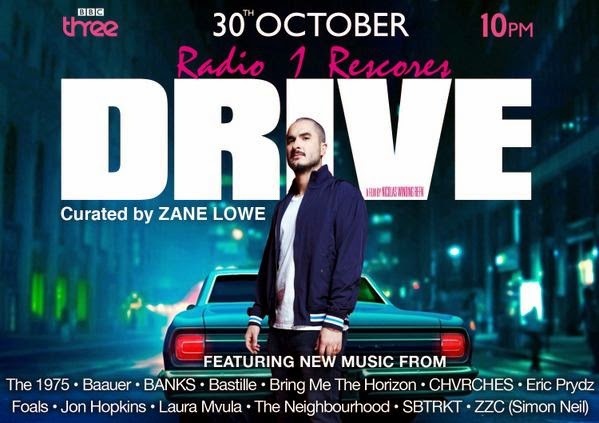 Radio 1, led by super-cool Zane Lowe, have decided to rescore the movie Drive with an all new soundtrack. The film will be screened on BBC3 on Thursday 30th October. New music will be included from the likes of Banks, Baauer, Jon Hopkins, SBTRKT, The 1975, Bastille, Bring Me The Horizon, CHVRCHES, Eric Prydz, Foals, Laura Mvula, The Neighbourhood and more. I've got to say I haven't heard much of any of these but they will have to be pretty damn good to beat the likes of Cliff Martinez, College and Kavinsky. I love the idea, the ambition and the boldness of going for a film so loved for its film score but I can't help but suspect that this can't be totally successful. It's got the blessing of director Nicholas Winding Refn but surely he knows they can't beat the original music? If Zane Lowe and Radio 1 had decided to tackle something with a less distinctive and iconic score, that would be more understandable. What do you think? Reckon this can work?